POPTAN DI is a synthetic replacement tanning agent. It can be used for both self tannage and combination tannage in conjunction with vegetable tannins. It is also suitable for retaaning chrome leather and for getting a very pale coloured light fast tannage. 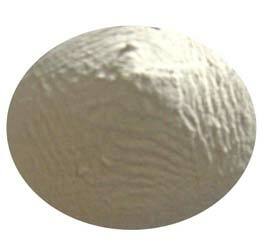 POPTAN DI is a pale, yellowish powder, readly soluble in water. POPTAN DI is a good light fast replacement syntan with high filling properties. It is ideal for production of crust leathers. POPTAN DI possesses dispersing properties and it is very useful in vegetable tanning of goat skin, buffalo and cow sides providing the leathers better colour, fullness and smooth grain. In rapid tanning process, addition of POPTAN DI produces leathers with tight grain and mellow handle. The colour of the leather is lightened considerably. This beneficial effect becomes particularly, pronounced in the elimination of the reddish tinge which is usually caused by the use of such tannins as quebrecho, mimosa, or mangrove extracts. POPTAN DI is extremely useful in the production of glace kids where tight grain properties with improved filling in flanks is required. POPTAN DI is ideal for retanning of garment suedes and shoe suedes where very fine quality nap with good dyeing characteristics are required. POPTAN DI when used in retanning of semi chrome glace kids, produces a uniform, clean and bright dyeings essential for finishing and final look of the leathers. POPTAN DI is particularly recommended for full and tight retannages on goat, sheep and cow softy uppers, and for the retanning of chrome upper leathers where fullness without looseness is required. POPTAN DI is used as a main retanning agent for dry milled leathers to achieve uniform break throughout the area of skin or hide. . Good nap can be obtained in suedes and buffing properties for correct grain side leather is good. . Imparts good, uniform dyeing on uppers and suedes when Poptan DI is used in retanning. . Ensures good dispersion of vegetable and resin tanning materials in cow, buffalo uppers and uniform penetration of all the products are achieved. Although storage life is unlimited particular care should be taken to ensure that the product is stored dry. Some caking may occur, if the product is stored in damp, warm coriditions, but thas does not affect the efficiency of the product.